In the mall where I work, there is this deplorable bathroom situated just inside the Bay. Whenever I enter it, I feel like I've fallen through a portal into an urban slum jungle. On one side of the bathroom doors are gleaming cosmetics counters and shelves of footwear stretching back for half a city block, and on the other side of the bathroom doors is a nasty yellow box heaving with human filth. 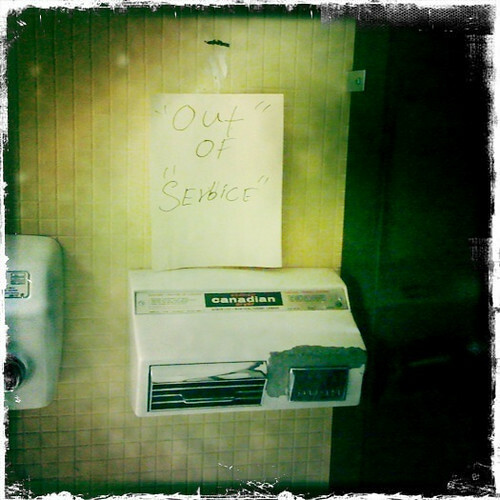 That piece of paper that says "Out" OF "Serbice" has been in that bathroom for months. Every day that I go in there, the sign is stuck to a new part of the bathroom to indicate which thing is not "serbicable". Sometimes it's a stall, sometimes it's the paper towel dispenser. This time, it was above one of the hand dryers, even though the paper towels were out and the other hand dryer was also non-functional. I want to fix the damn sign, but then I would have to touch the sign, and, believe me, no one wants to touch anything in this bathroom, except, apparently, the people who defile it on a daily basis. I like the creative use of spacing, font size, and capitalization. You will notice that all of these pictures are taken at eye-level. 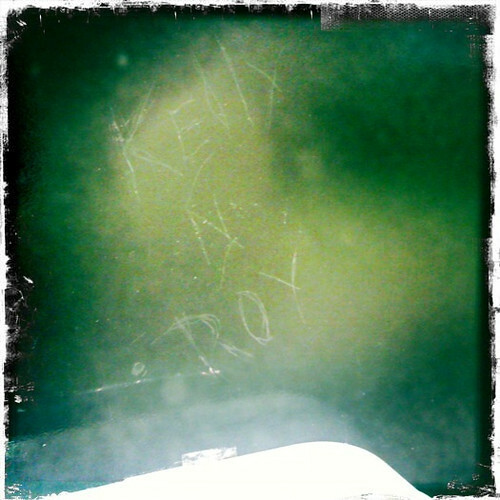 Because of people like Kelly and Roy, it is very important to never look down when in this particular bathroom. I always do, though, because my morbid curiosity always gets the better of me. My favourite thing about this execrable bathroom, though? 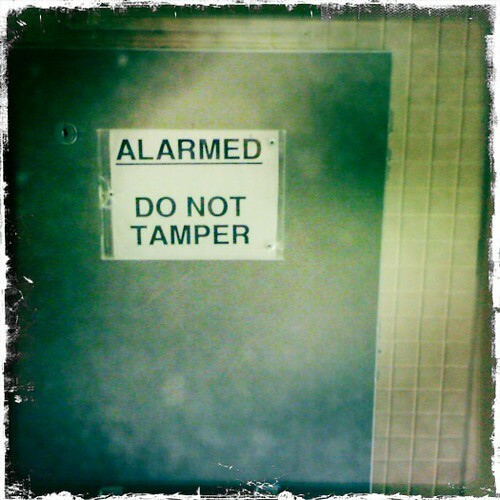 THE TAMPON MACHINE IS ALARMED. It takes a lot of self-control for me not to bash that thing in just to hear what a tampon machine alarm sounds like. And, also, would anybody even come to defend such an offensive bathroom against tampon theft? I, for one, would never use a tampon that had spent any appreciable amount of time in there, let alone steal a whole supply of them. 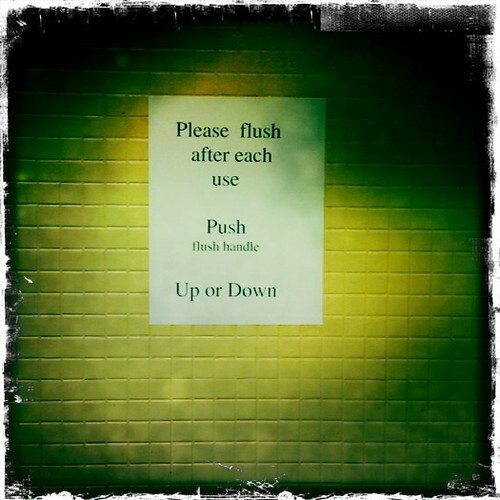 This is less a department store bathroom and more the death throws of a truck stop bathroom making a vain last attempt at crawling out of the gutter before it finally rolls over and heaves it's last blurp.